With yet another birthday looming on the horizon, I foolishly began to look back on my life and make note of all the changes that have occurred during the last decade. No, I’m not talking about the iPhone or Skype or anything like that. 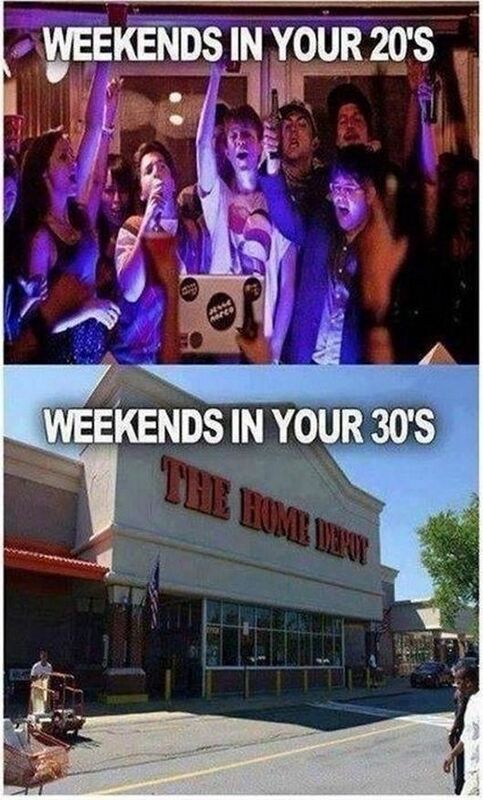 I’m talking about the differences in my life at 23 versus 33. And let me tell ya, it ain’t pretty. 23) Sitting in late night drive-thru lines drunkingly wondering how long it could possibly take to make a cheeseburger. 33) Sitting in an infinite car pick up line, drowsily wondering how long it could possibly take to put a child into a vehicle. 23) Impulsively deciding to get a new tattoo. Why? Because you can! 33) Tirelessly spending hours or even days contemplating purchasing a new cardigan…..that’s on clearance. 23) You take a job based on how it will affect your social life. 33) You take a job based on the benefits. 23) School (college) closed for the holiday? Better hit the beach and get drunk while getting sun-burnt! you can always put aloe on after you sober up. You’re 23, you’re invincible. 33) School (elementary) closed for the holiday? Better plan a trip to the zoo/museum/park or beach. Actually not the beach. Those damn kids are sand magnets. And for the love of freckles DON”T FORGET THE SUNSCREEN! 23 & Single) You pick a boyfriend based solely on looks. You don’t really care if he’s intelligent. In fact, you’d prefer he not speak at all. 33 & Single) You pick a boyfriend based on the husband algorithm. Intelligence, Job Security, Provider Ability, Political beliefs, Taste in music & looks. 23) Friday Night? You’ve got the outfit picked out, the bartenders know what you’re drinking before you even say hello, and you always make to last call. 33) Friday Night? You’ve got your favorite sweatpants picked out, the pizza delivery place knows your voice before you even say “Delivery”, and you’re lucky to make it to the credits of whatever mindless kids movie your rug-rats picked out at Redbox. 33 Weekends) Sleep, Wake up, play date, lunch, play date, dinner, sleep, wake up, play date, Home Depot/Target/Michael’s/etc, Watch football at home. 33 Shopping) Nordstrom, Target, Macy’s, Target, Sephora, Target, TJ Maxx, Target, Marshall’s, Target…….you get the idea. 23 Friends) They all work at the best bars, nightclubs and stores and can get you drinks, VIP access and awesome discounts. 33 Friends) They all work at law firms, schools and non-profit organizations and can really help you network and get your kid into that awesome and exclusive new preschool.